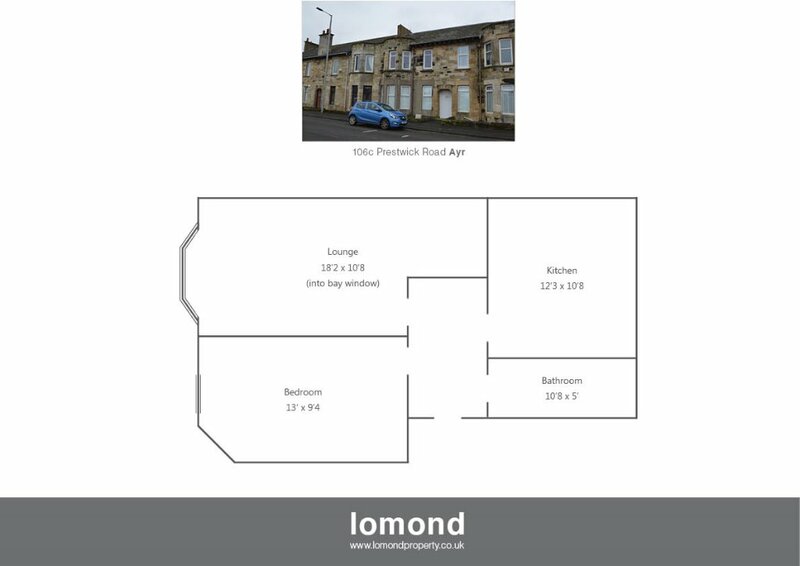 An excellent opportunity to purchase this sandstone two apartment upper flat in need of refurbishment giving potential for developers. The accommodation on offer comprises good size apartments consisting of entrance hallway, good size bay fronted lounge with space for dining within a recessed area, good size kitchen & bathroom and double bedroom. Warmed by gas central heating the property also benefits from being double glazed with shared garden to rear. From our office on Prestwick Main Street proceed south on Main Street onto Ayr Road, continue through traffic lights at Prestwick Toll onto Prestwick Road where the property is located on your left.